Here we Go!! 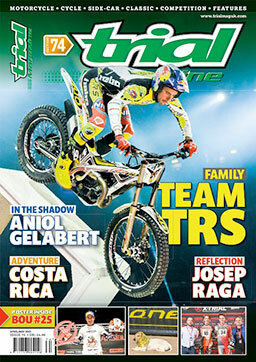 Trial Magazine Issue 73!! 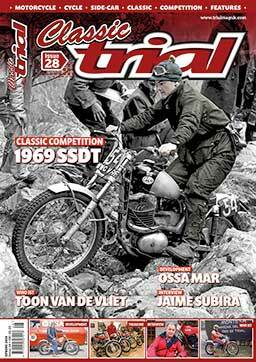 Yes Issue 73 is available from Thursday onward’s in full colour gloss with all your Trials News, Action, Events, Product Tests, Interviews and so much more for you full throttle addicted trials junkies. As you would expect from such a high quality independent print publication in its 116 pages brought to you in full colour gloss or in digital format it carries superb images and interesting in depth articles from a team dedicated and passionate about the sport of trials. New Models: Your choice: Beta Factory or Gas Gas TrialGP? Dates: What’s on in 2019? Quick Spin: We throw are legs over the Electric Motion 2019 model. International: It’s time for the 2019 FIM X-Trial World Championship. Team: We took time to talk to George Hippel Racing in Germany. Catch Up: Richard Sadler talks about his move to the JST Gas Gas UK Team. Youth: Trial Magazine had a day with the Hemingway boys Harry and George. Why Not? : Who has had a go at sidecar trials, Steve Saunders has a bit on the side. Sport: The 2018 ACU BTC Sidecar Review. Traditional: 2019 started indoors with the Martin Lampkin Trial at Sheffield. Family: It’s the Archers by Colin Bullock. Riders Reveal: We find out more from 1968 in the East Yorkshire centre. Plus all the regular features including ‘Talk Trials’ with Toni Bou, News, Paddock Pictures and so much more – Remember it’s only Trials!! If you are looking for gift ideas look no further than below with a subscription that will last for six issues! We also have books and all the currents DVD’s in stock!